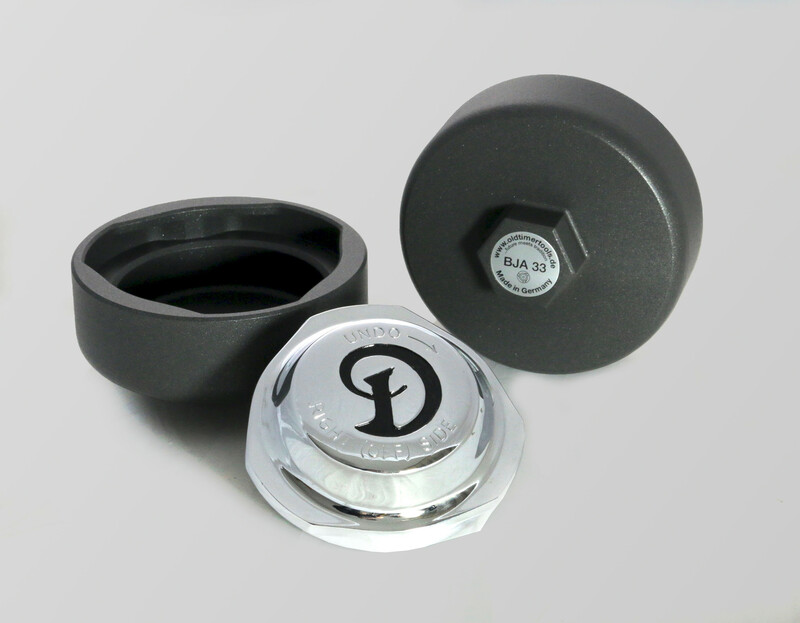 This High-Quality special tool has been developed for easy tightening and loosening wheel spinners . We use high-strength aluminum alloys which is used in aircraft-construction so that we can assure very solid and light tools. For an even better protection of your wheel spinners we recommend to put a thin leather sheet between tool and wheel spinner. The drive comes from a 1 1/2" (38mm) hexagonal. 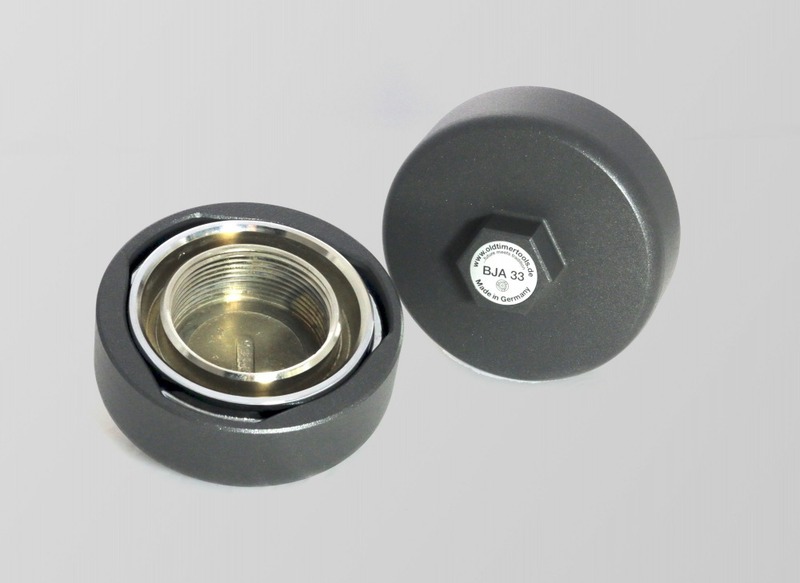 With an adapter it can be reduced to a 1/2" square for allowing using a torque wrench. For handy work with the High-Quality special tool we need an adapter, 1 1/2" socket, and a 3/4" ratchet because high forces are necessary for loosening the spinner. After reattaching the wheel and the first few meters of driving the cone surfaces of the wheel can move. That is why it is is very important to check and retighten the wheel spinners accordingly after the first test drive! Please read the manualbefore using the tool and follow the instructions therein. Click here to see a brief list of instructions which describe how to work with the tool correctly. Insert the power-adapter into the spinner-removal-tool. Insert the premium ratchet into the power-adapter. To compensate for the different diameters of the spinner, insert a leather cloth into the tool. Place the tool on the spinner. Make sure that the tool greets behind the spinner. When tightening the spinner, remove the ratchet from the power-adapter. Insert the small adapter into the power-adapter. Insert the torque wrench into the small adapter. Set the torque wrench to the specified torque. Press the torque wrench downwards. After work, reset the torque wrench to the neutral position. After reattaching the wheel and the first few meters of driving the cone surfaces of the wheel can move. That is why it is is very important to check and retighten the wheel spinners accordingly after the first test drive! Because high forces occur when loosening the wheel spinner the torque wrench is only suited for tightening! Please send us the type of your vehicle and a photo of your spinner / center lock during the checkout. This way we can be absolutely sure that we can deliver the right tool for your vehicle.